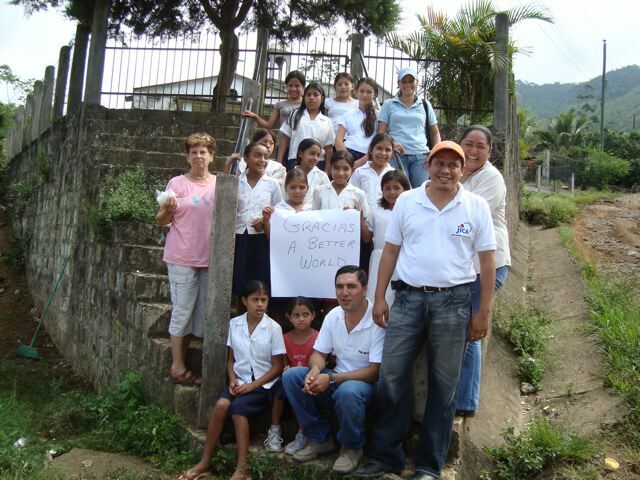 The project began as an idea last September and was completed a few months later with the gracious donations of people here in Canada and the hard work of other people and organizations in Copán Ruinas. The classroom was completed in record time (a few weeks) after the materials were delivered. 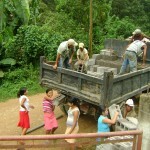 The community organized to supply the labor. The only paid position was the albaniel (foreman) and his assistant. 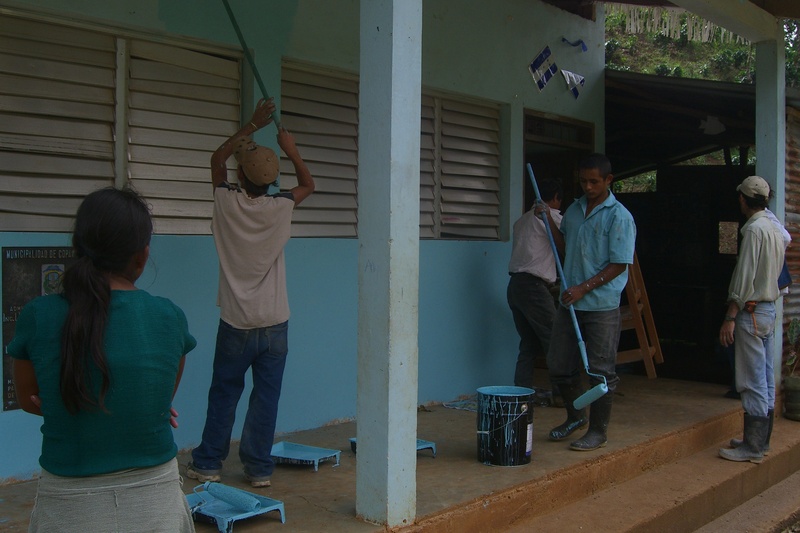 The community of El Malcote expressed their gratitude to those in another country that cared enough to supply the funds to buy materials for their new classroom. 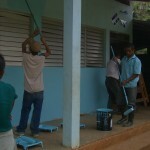 The partnership with World Vision and Ellen Finn of Project School supplies enabled the classroom to be built. 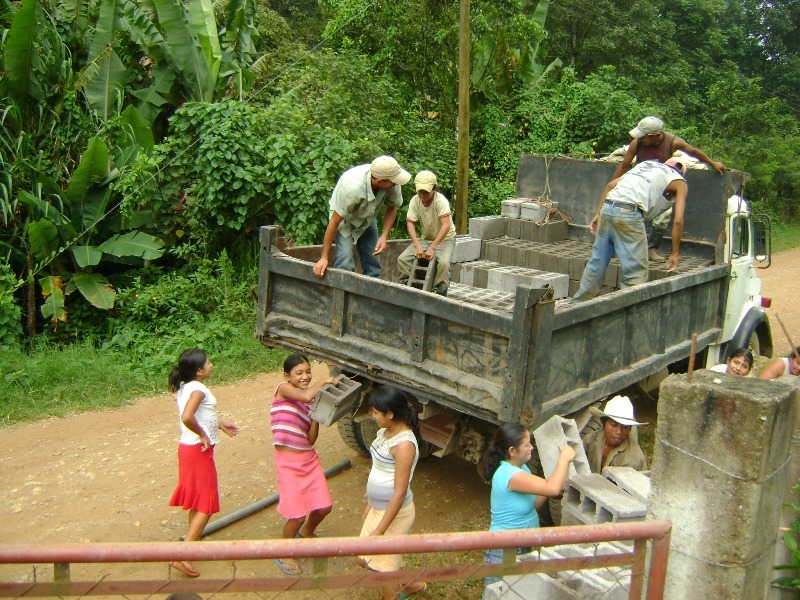 World Vision arranged community organizational meetings, the engineering expertise for the building plan, the budget and access to the necessary materials. They also helped provide transportation of the materials to the community and transportation for me to get back and forth from the community when I was there. Ellen Finn was the person in Copán that co-ordinated the purchase and delivery of the materials, and liaised between the community, teachers, World Vision and A Better World. Robert Kern arranged a bank account to deposit the money in Copán and made the funds available as needed. The last stage to complete the classroom was painting it a pretty Robins Egg blue. I plan on an ongoing relationship with the community to help with whatever medical, health and educational needs the school may have. 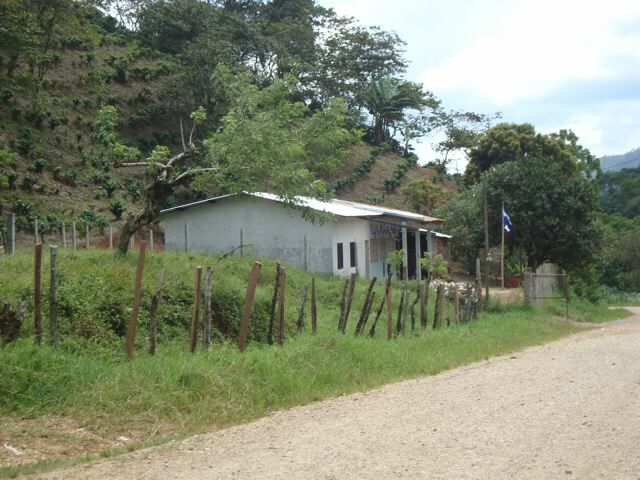 You are currently browsing the Carol in Honduras blog archives for December, 2009. No computers were harmed in the 0.032 seconds it took to produce this page.